April 1, 2015 – Raleigh, NC –HBCUgrow and Fort Valley State University have teamed up to present HBCUgrow Conference ’15 on April 8, 2015 in Fort Valley, Georgia. This one-day event will focus on solutions to enrollment challenges faced by historically black colleges and universities. Pamela Berry-Johnson, FVSU director of Marketing and Communications, called the conference an awesome opportunity for Fort Valley State University as well. 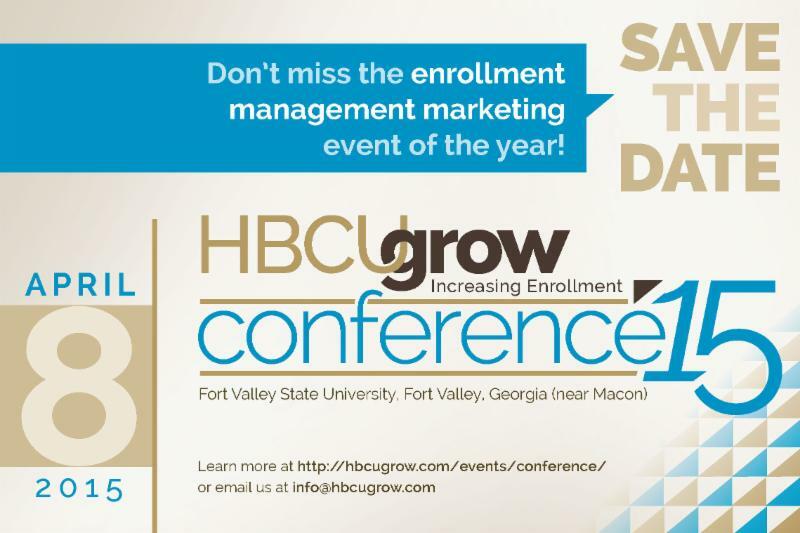 HBCUgrow Conference ’15will take place on April 8 from 10:00 a.m. to 3:30 p.m. at Fort Valley State University in Fort Valley, Georgia. Sessions include Identity Crisis to Record Enrollment –Success story of the fastest growing HBCU(Andrea Ferguson, Jeanne Frazer, David W. Hoard); Digging Out of the Deep, Dark Drop in Enrollment (Calandra Wright, Director of Admissions, Fort Valley State); a session on the latest digital tools; and Firing Line, a panel of industry experts, including Jarrett L. Carter, Sr., Founding Editor of HBCUDigest.com and writer for The Huffington Post. The $35 admission fee includes lunch. Anyone interested in attending may learn more at www.hbcugrow.com/hbcugrow-conference-15. Those unable to attend are welcome to join the HBCUgrow LinkedIn group and follow the event on Twitter at #HBCUgrow15.